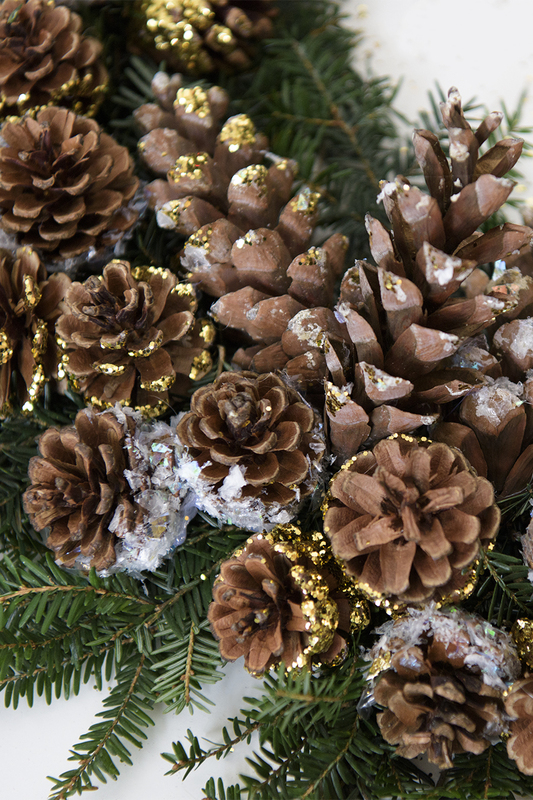 With Thanksgiving festivities behind us, it’s time to switch gears and get ready for rest of the Holidays and New Year. 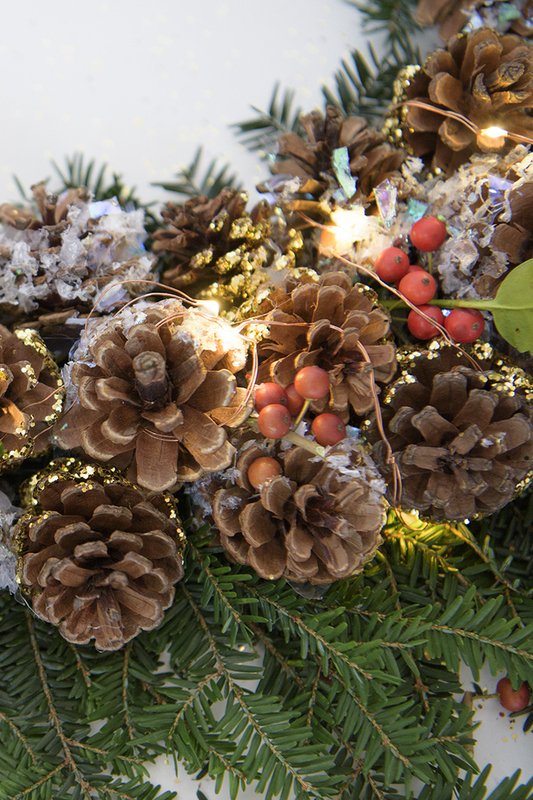 What better way to finish off this year than with an awesome and simple DIY wreath by repurposing the Thanksgiving Centerpiece we created last week. 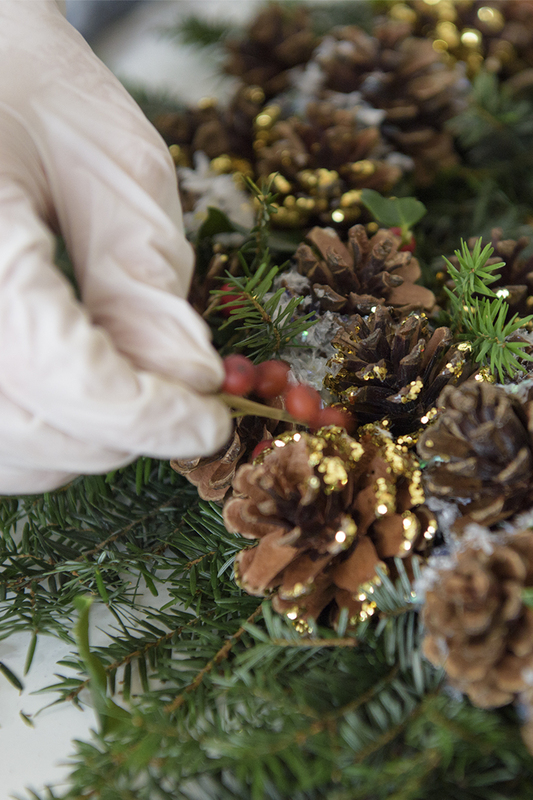 Why not recycle what you’ve already created, using the same materials that were used for the Thanksgiving centerpiece. 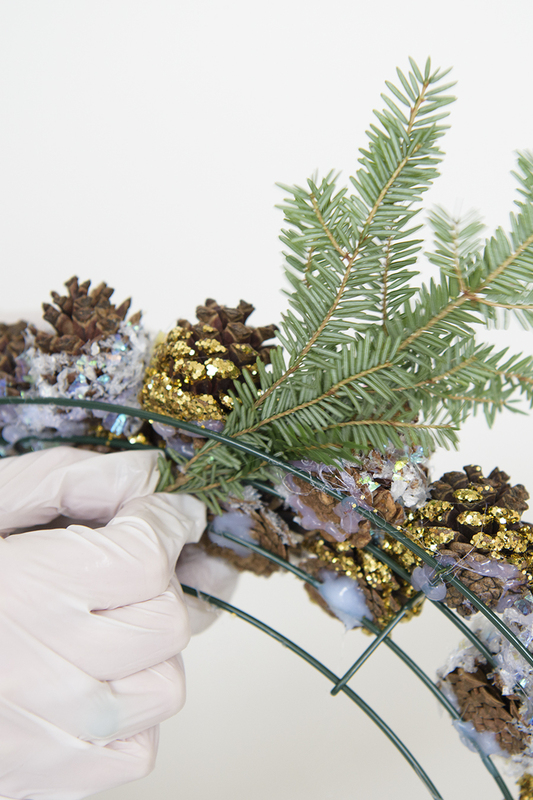 You may just want to pick fresh pine branches to keep your wreath fresh through the Holiday season. 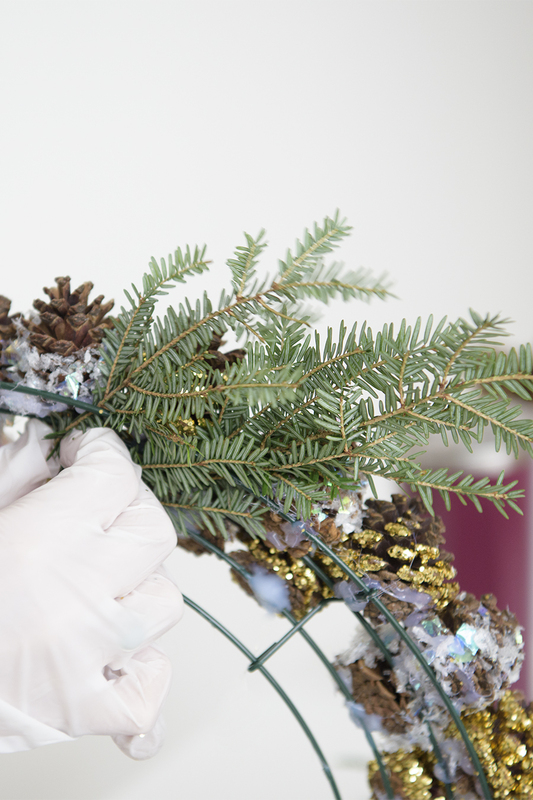 You can start with conditioning the branches by watering them the night before with room temperature water. 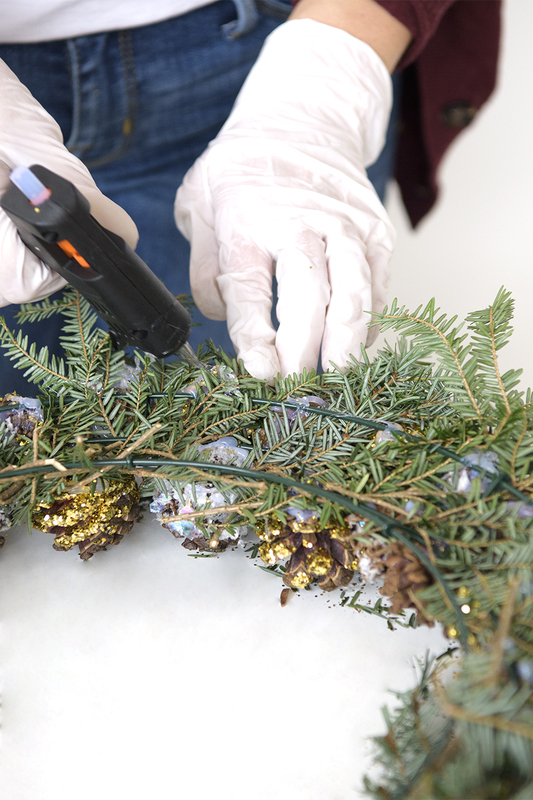 Afterwards, you will need to treat the branches with an anti-dessicant spray (which you can find at any nursery, craft store or online). This spray will help make your natural greens last longer. However, if you’re going faux, you can skip this step. 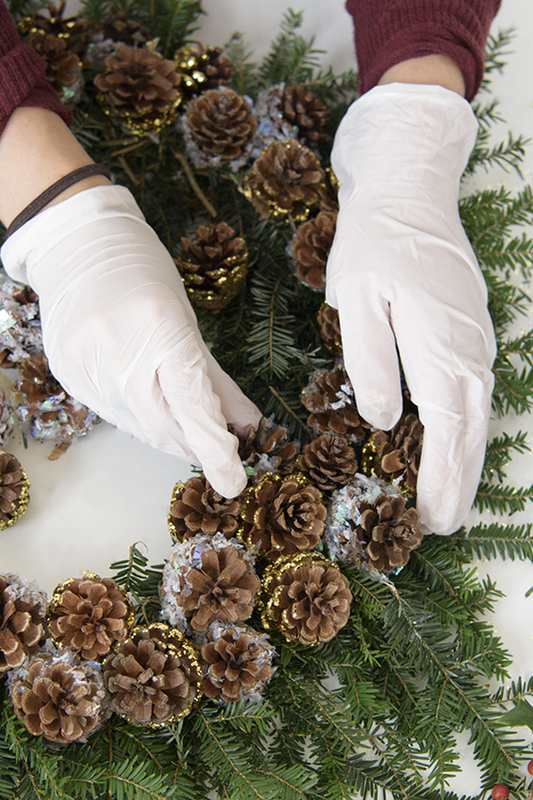 Once you have the pine cones glued to the wreath as shown on the Thanksgiving centerpiece post, start weaving the pine greens on the outer and inner wreath rings, weaving the branches at an angle, filling both rings completely. 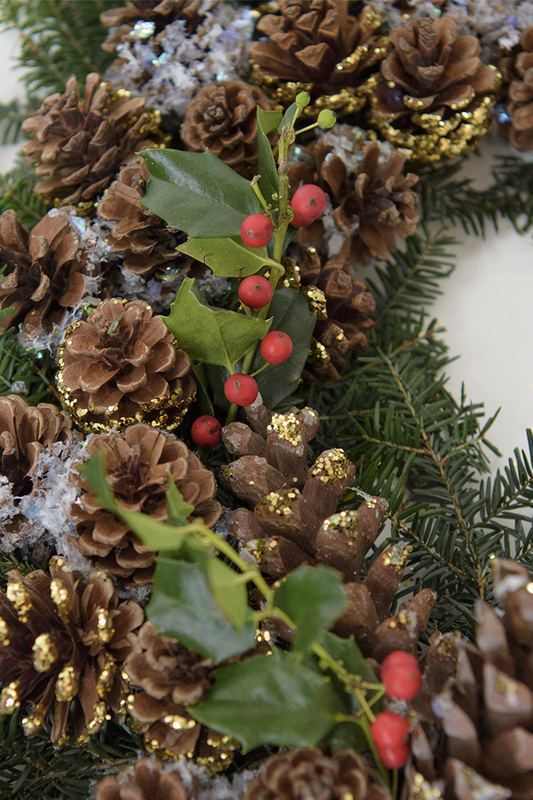 Once you have filled the wreath with branches to the fullness you want, tack some hot glue to hold branches in place. 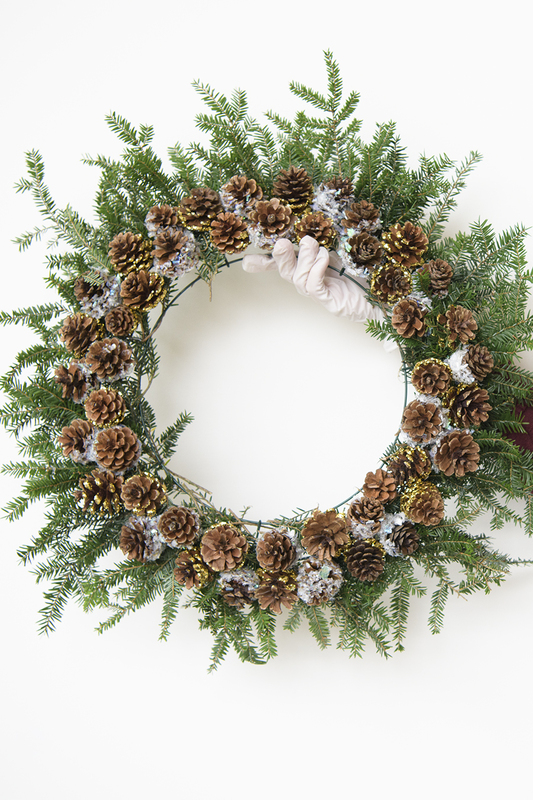 If you want to add a bit more accent on the wreath by adding more pine cones of different sizes, hot glue them right on to where you want them. 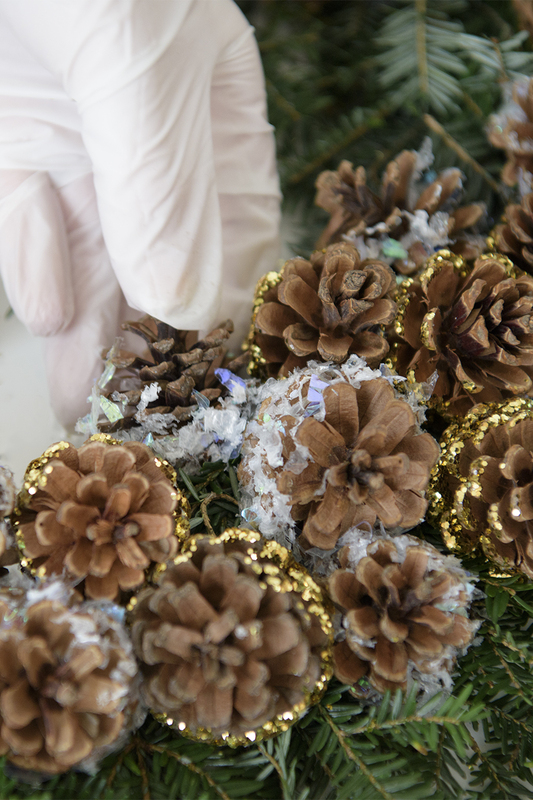 We added some small and large pine cones on the bottom left to make ours pop. 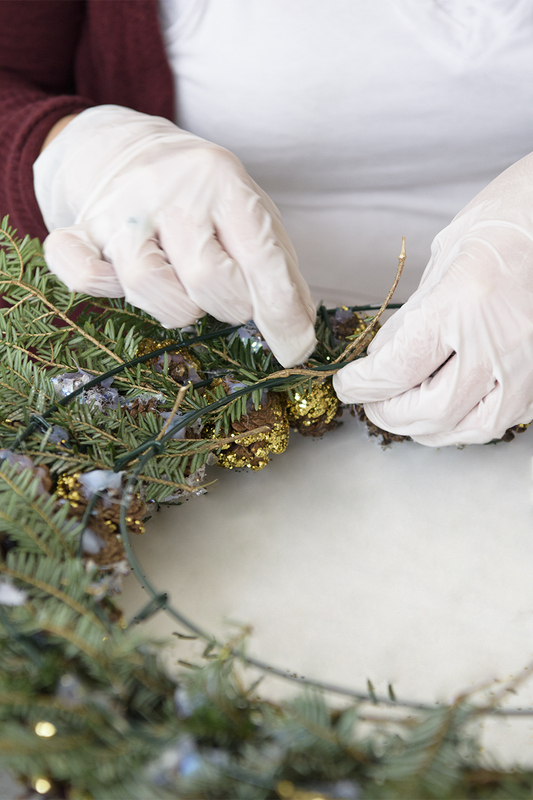 If you are using fresh Holly branches, we recommend wearing gloves for this one! 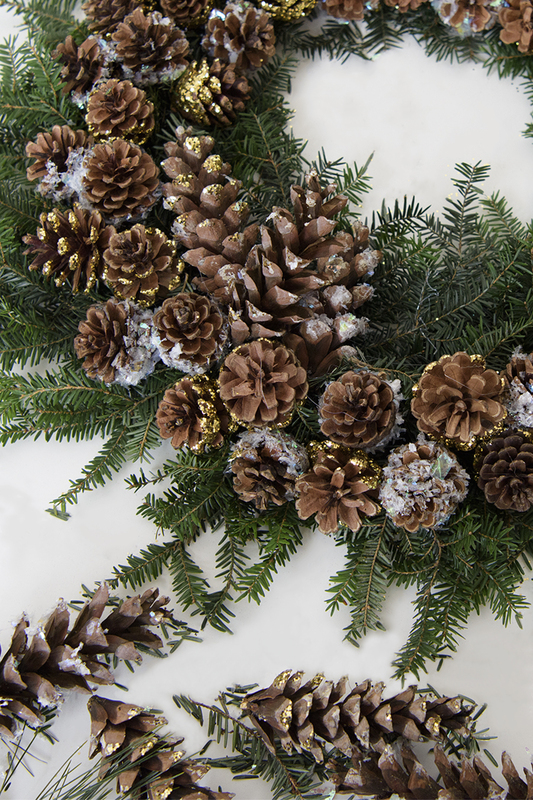 Spread them around the wreath for color and texture. 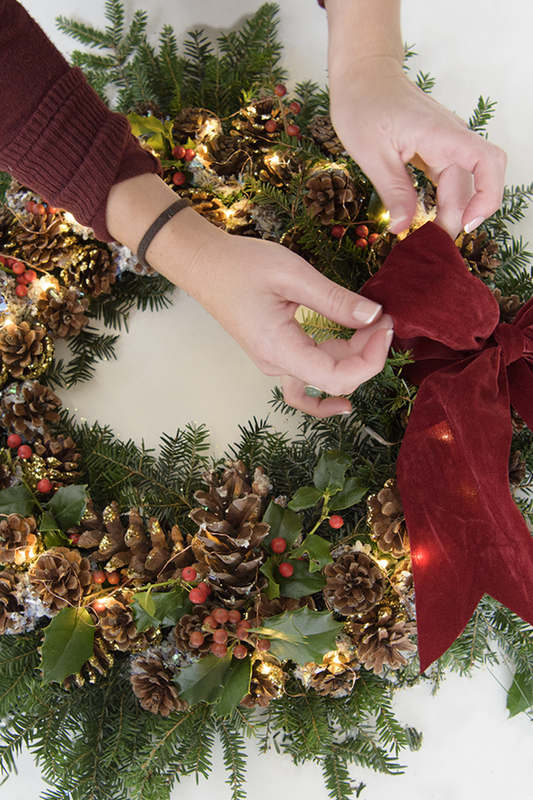 Wrapping the fairy lights on the wreath and light them up was the highlight of this DIY! 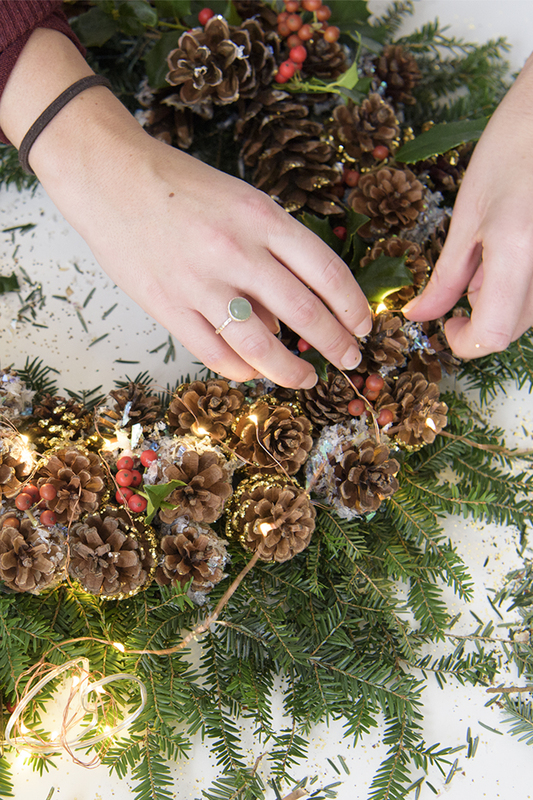 Gather your family around and have a little lighting ceremony of your own. 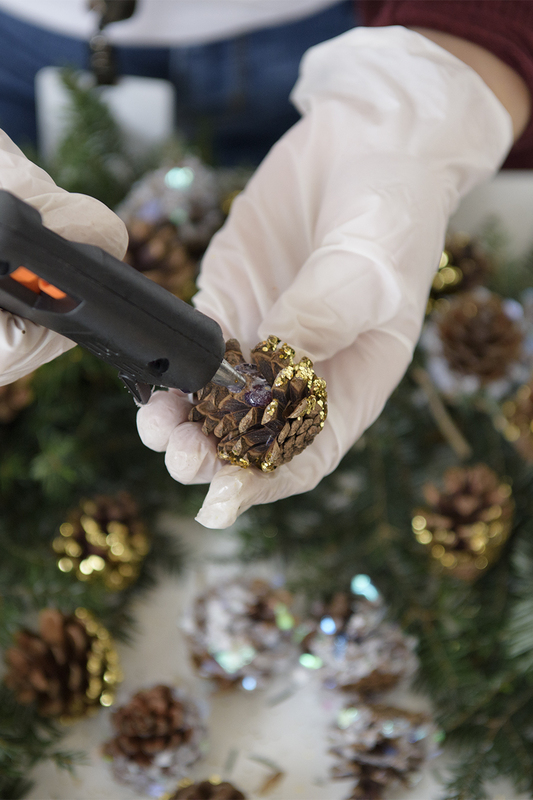 Wrap the lights around the pine cones all around the wreath, making sure the battery chamber is at the bottom where the bow will be tied. 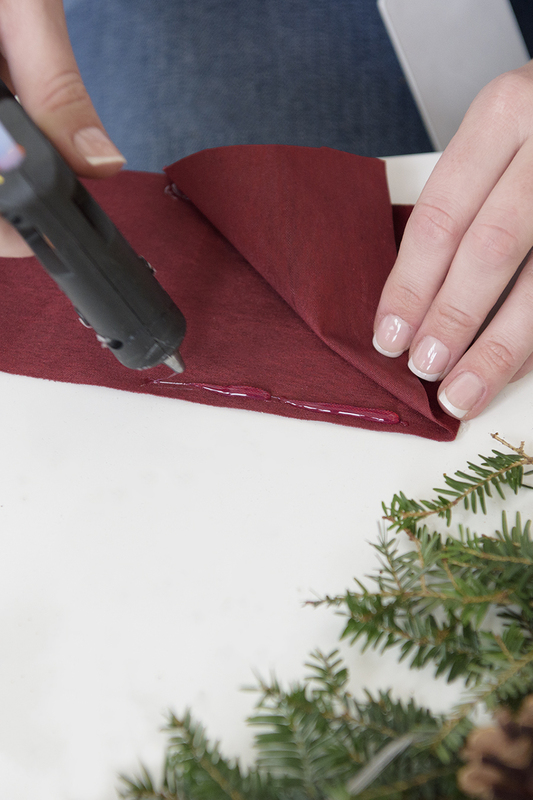 If you want to get really fancy, you can make a little pouch to hold the battery chamber using fabric and glue gun. This may require an extra hand. 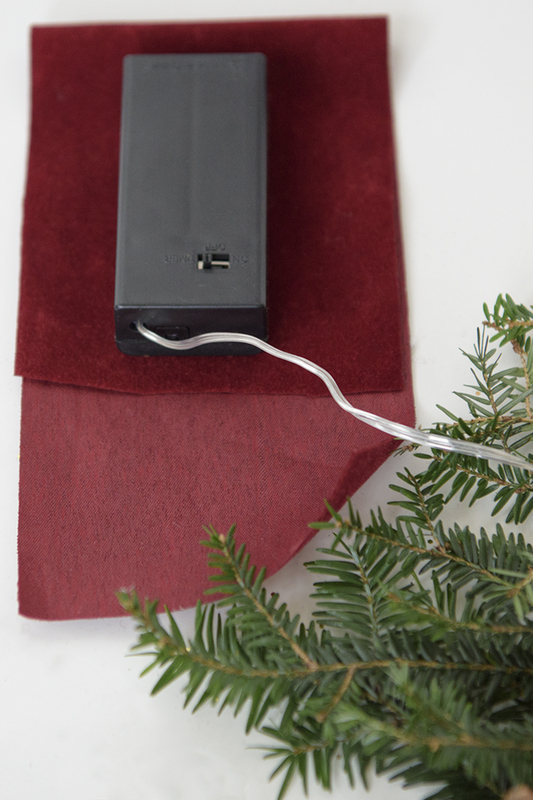 Place the battery pack into the pouch and secure it with a tie to the wreath where the bow will be tied. 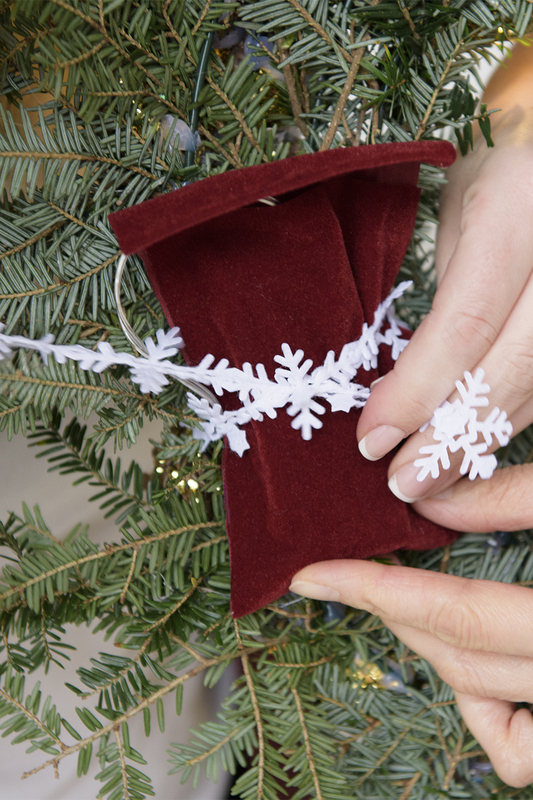 Tie a beautiful bow around your wreath as a final step, hang and enjoy! 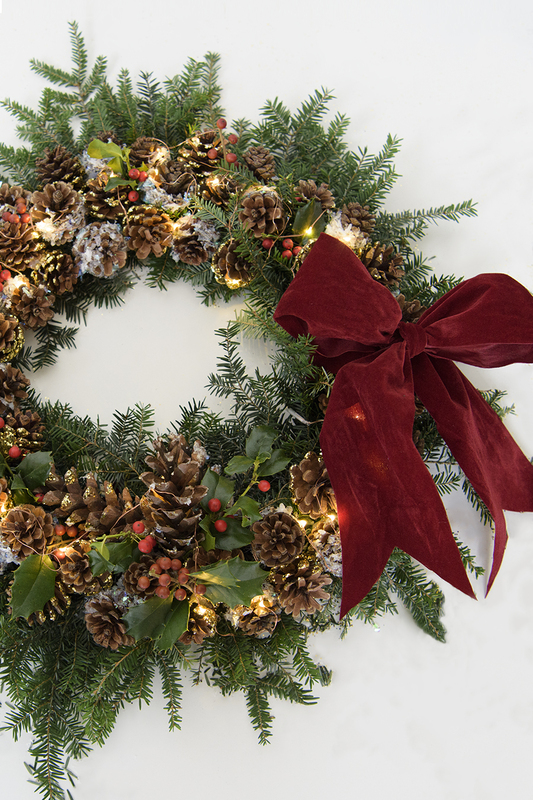 Happy Holidays from Best Home Fashion!